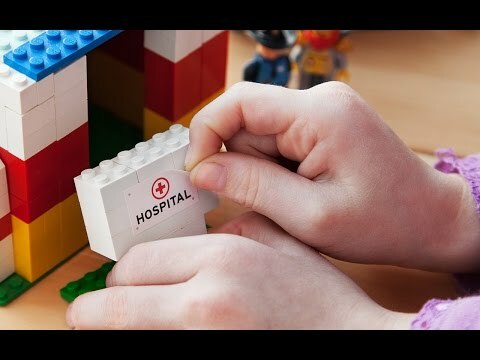 BrickStix are a bit like they sound: reusable building block stickers made for Legos and other building block toys. They don’t tear or leave a sticky residue, and with a variety of visual themes, the creative possibilities are endless. The inventor? Greyson MacLean, who is a bit of an authority on toys, mainly because he was nine years old when he invented BrickStix. He liked building with interlocking blocks, but didn’t like how the stickers that came with the sets just, well, stuck there. Then, inspiration struck: he saw the thin, removable UV label from a pair of sunglasses, Greyson went into action, and before long, BrickStix was earning raves at the New York Toy Fair. The MacLeans turned their finished family basement into an on-the-fly production studio. In the short time since, Greyson’s innovation has won six major toy awards, all while he and his family continue to come up with fun new themes and designs. 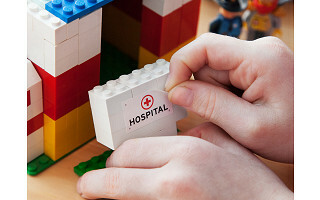 A testimony to the power of imagination, BrickStix encourage kids to change things up at playtime. 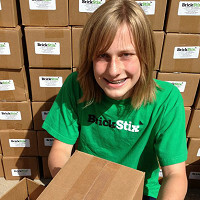 Hi Everyone, I am Greyson, a young entrepreneur who created BrickStix. As someone who loved playing with my Legos I wanted to create something that would make them better. My invention is BrickStix. Enjoy! That was a great idea! I remember being young and hating those stickers. Those would have been great (but it was way before you were born ;)) Very good job. @Adrian Thank you! I am very proud of BrickStix. And I am excited to see my invention on The Grommet! Most inventions start with a problem. My problem was telling a bigger story with my bricks without ruining them. Plus, using stickers that are removable and reusable makes it a lot easier when I don't put it on straight the first time. 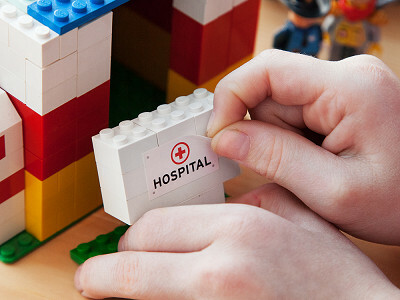 :) And you are NEVER too old to play with LEGO bricks (and BrickStix Stickers)! BrickStix are a bit like they sound: reusable building block stickers made for Legos and other building block toys. They don’t tear or leave a sticky residue, and with a variety of visual themes, the creative possibilities are endless. The inventor? Greyson MacLean, who is a bit of an authority on toys, mainly because he was nine years old when he invented BrickStix. He liked building with interlocking blocks, but didn’t like how the stickers that came with the sets just, well, stuck there. Then, inspiration struck: he saw the thin, removable UV label from a pair of sunglasses, Greyson went into action, and before long, BrickStix was earning raves at the New York Toy Fair. The MacLeans turned their finished family basement into an on-the-fly production studio.